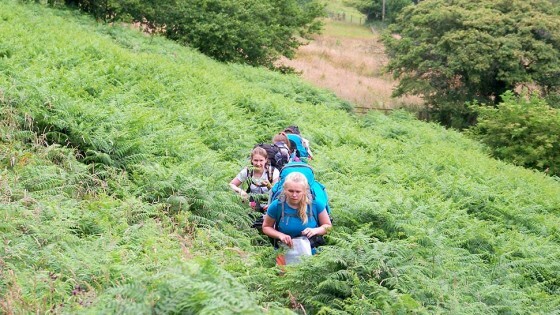 Millie, Sarah, Rebecca, Jenny, Emma and Rebecca vanquished the Brecon Beacons on their Gold Practice expedition. It really was like a scene from some jungle exploration movie with bracken literally towering over the heads of the intrepid team as they hacked and fought their way through the undergrowth. The weather was kind mostly though and with there being some ‘real’ mountains in the Brecon Beacons it felt like a appropriate challenge for such a determined Gold DofE team.